The infamous chef, Boy Logro co-owns 7 Flavors Buffet located at A. Mabini St., San Juan City. 7 Flavors features as artisan bakery, a gourmet cafe, and a world fusion buffet. They serve really good food for an affordable price. Last Friday, my friend, Sam Dy and I had a chance to dine with Mr. Kenneth Hung, the CEO, and Mr. Albert Borja II, the COO. It was a great experience also to have met fellow bloggers/writers at the dinner. We dined at the ground floor, where the cozy cafe is. In fact, they're planning to do bossa nights there soon. 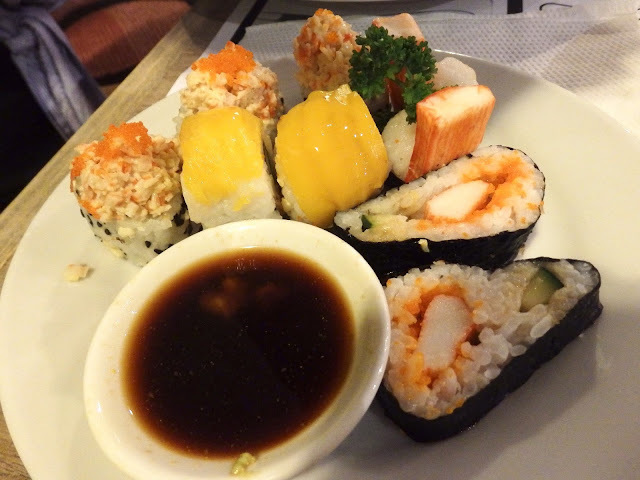 I loved the place because of its ambience and food. 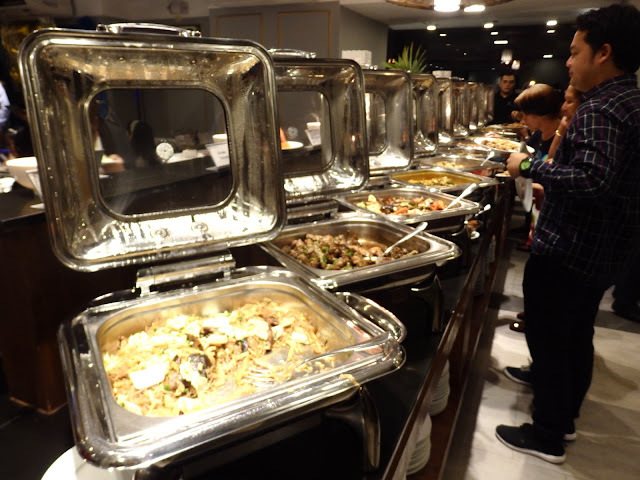 The buffet was at the second floor; and at that time, there was a birthday party there. They have an interesting food selection at the buffet. There's also a teppanyaki corner, which I loved. 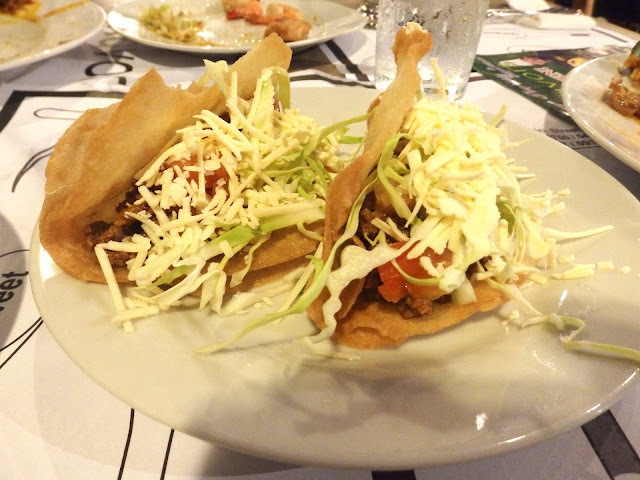 My friend Sam enjoyed the tacos, and it's one of the best from the buffet. My personal favorite was the Kare-Kare. we love the roast beef too! Anyway, they also offer event packages and catering services. For inquiries, you may contact them at 543-0325 / 542-1935 / 503-6750 / 0917-6700291 / 0933-4177387.